While the summer in Sweden has been overwhelmingly good, fantastic, fun and more that we could ever wish for this year, it´s also been hectic, and with work in between. So for this year's Marbella stay I´ve decided to totally check out from everything except my wonderful family, recharging the batteries for a Fall full of interesting and fun communications work (my day job), pretending-to-be-an-editor-and-loving-every-minute-of-it (the little side project called Beautifulosophy) and a busy social schedule (one can never spend too much time with great friends). This means I will leave you dear reader with some selected posts from the archives to dive into, feeling endlessly blessed to have you here and to see you again at the end of August. If you want a piece of my Marbella during the weeks, please follow along. I will be posting @beautifulosophycom on Instagram. One of my favourite spots in Marbella, and where we will head for their famous lunch buffé (set a side hours and come on an empty stomach) once again this year...the Marbella Club. And this little cool gem is also always on the agenda for at least one days visit...Tarifa Hurricane. 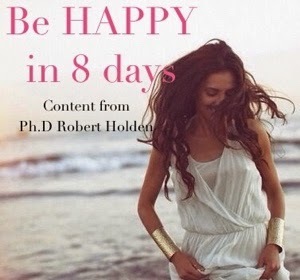 Follow super model and also advocate for inner beauty Miranda Kerr's Seven Days to treasure yourself for a week. Very short and simple actually. Go to the beautiful India Hick's amazing home Hibiscus Hills in the Bahamas or have a look at the creative office of favourite brand J.Crew. See more homes and inspiring decor here. If you want to live longer and look younger...according to Deepak Chopra interviewed by Wall Street Journal you should do these three things...Or learn the difference between self-care and self-pity, since it is of importance and not the same. Read exclusive longer interviews with inspiring people as Lilou Macé, self-esteem queen Mia Törnblom, my inspiring friend Monica who walked the Santiago de Campostela Camino together with bestselling author Paulo Coelho or have a look at my sister-in-law's Mallorca residence. Or read one of the most sought after posts ever here on the blog; The life and timeless style of Carolyn Bessette Kennedy. We had a couple of holidays in Marbella and Puerto Banus several years ago and it really is a lovely area to relax and enjoy fabulous Spanish food and drink. Great links here especially the Deepak Chopra advice.